In nature, predator and prey populations interact constantly. Their competitive interactions are described by mathematical models that predict the dynamics of population ecology. Perhaps the most seminal of these models is the Lotka-Volterra model (Lotka 1910, 1920, 1925; Volterra 1926). The basic Lotka-Volterra model is comprised of a coupled pair of fundamental equations that describe interactions, typically between two competing species, within a given system or setting (e.g. an ecology, an economy). In the classic predator-prey setting of Lotka-Volterra, given ample food, the prey population grows exponentially in isolation, but is constrained by encountering predators. Conversely, the predator population, relying upon prey for food, declines exponentially in the absence of sufficient prey; such decline is offset by encountering a supply of prey species. The coupled interaction of these two equations results in a cyclically fluctuating “growth and decline” dynamic that can continue indefinitely, under certain conditions, i.e. homeostasis. Over the past century or so since first proposed by mathematician Alfred J. Lotka (based upon the logistic equation derived in 1825 by mathematician Pierre François Verhulst for describing the role of carrying capacity and resources in population dynamics), Lotka-Volterra has had wide-ranging application in describing the dynamics between many populations in nature (e.g. interdependencies between moose and wolf populations on Isle Royale in Lake Superior). In addition to ecology, the general framework has been applied to numerous other scientific fields and disciplines, including economics, resource competition, demography, population dynamics, speciation and epidemiology. We have conducted a simple computational experiment to demonstrate how Lotka-Volterra type models apply to the study of population dynamics. This illustrative computational experiment applies a predator-prey-invasive species model to attendees at the luncheon to simulate how competitive interactions between species may influence relative population growth. 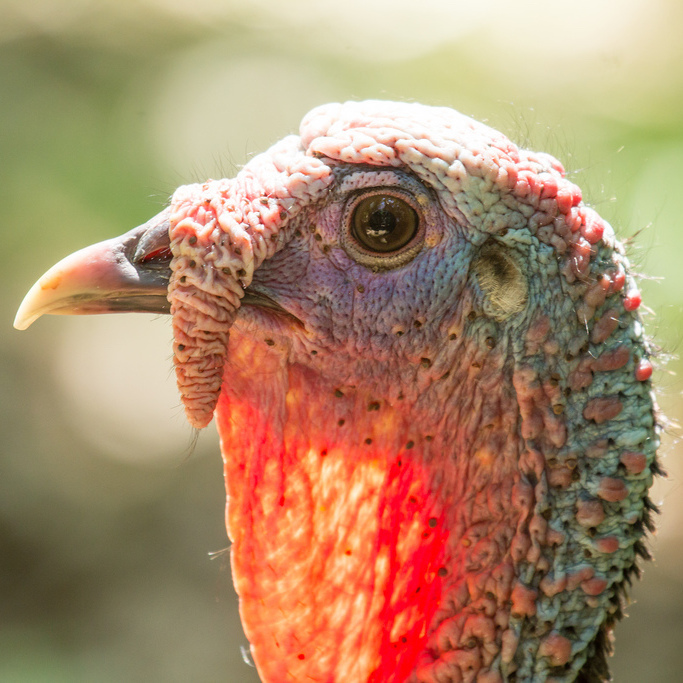 Each attendee has been randomly (and anonymously) assigned to be one of three populations, each of which has been observed in or near Black Rock Forest: Eastern coyote (predator), wild turkey (prey), or Eurasian boar (invasive species). 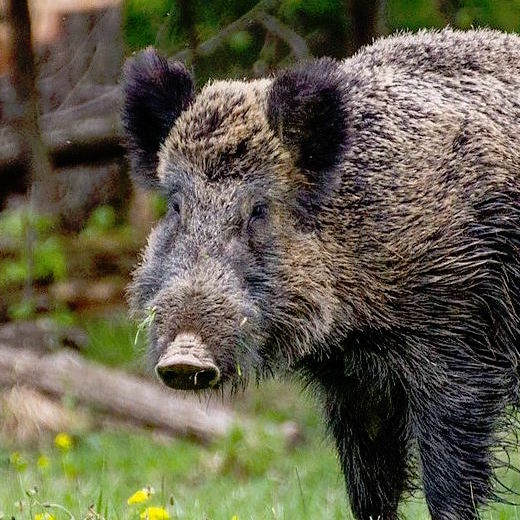 The Eurasian boar is generally considered to be an encroaching invasive species. Invasive species destabilize the ecosystem, by competing with native species for resources. Over time, the population assigned to your location will interact with two adjacent populations, according to rules inspired by the Lotka-Volterra framework. Each “bubble” expands and contracts with the respective growth and decline of the population of its assigned species. Note: the computer simulation will periodically restart (after a trial of approximately 50 iterations), with a different final outcome likely to occur at the end of each trial. In essence, each table represents an ecosystem comprised of local habitats, where species engage and interact by competing for local resources. Depending upon the initially assigned conditions (i.e. adjacent locations of competing species), and some degree of ongoing uncertainty, some ecosystems may survive or even thrive for many generations. However, other ecosystems may collapse due to inherently unstable conditions. Larger simulations best viewed on a desktop or laptop computer. With thanks for conceptual design and funding from David K.A. Mordecai and Samantha Kappagoda at RiskEcon Lab @ NYU. 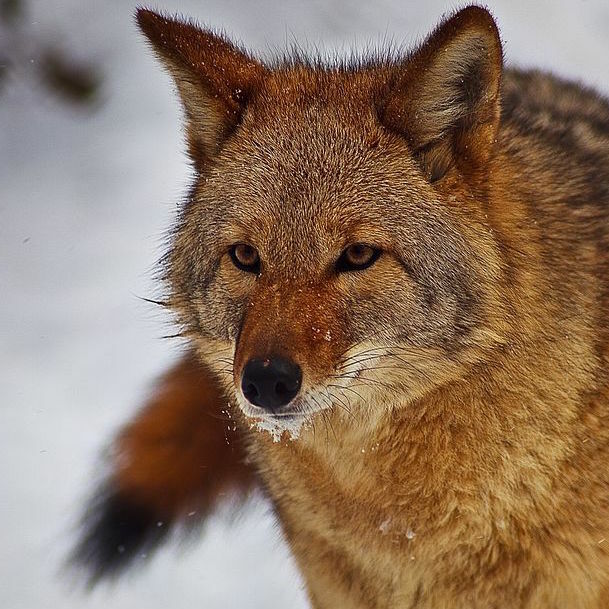 Photo attributions: coyote by ForestWander Nature Photography; turkey by Laura Erickson; boar by Valentin Panzirsch.